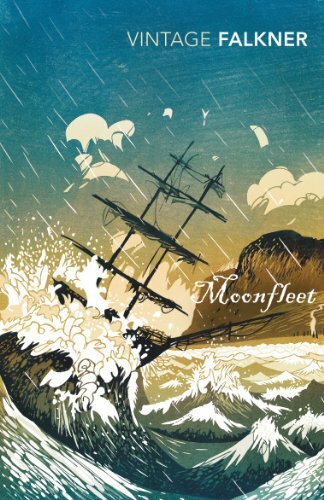 Moonfleet is a tale of smuggling by the English novelist J. Meade Falkner, first published in 1898. The book was extremely popular among children worldwide up until the 1970s, mostly for its themes of adventure and gripping storyline. It remains a popular story widely read and is still sometimes studied in schools. The Nebuly Coat (1903), by J. Meade Falkner, is a novel which tells of the experiences of a young architect, Edward Westray, who is sent to the remote Dorset town of Cullerne to supervise restoration work on Cullerne Minster. He finds himself caught up in Cullerne life, and hears rumours about a mystery surrounding the claim to the title of Lord Blandamer, whose coat of arms in the Minster's great transept window is the nebuly coat of the title. When the new Lord Blandamer arrives, promising to pay all the costs of the restoration, Westray suspects that the new lord is not what he seems. The Nebuly Coat includes elements that were central interests in Falkner's life, church architecture and heraldry. The massive Romanesque arches of Cullerne Minster recall those of Durham Cathedral which Falkner was familiar with through his work as Honorary Librarian to the Dean and Chapter as well as viewing it from his house on Palace Green. Colerne which has been Cullerne during its history . . . 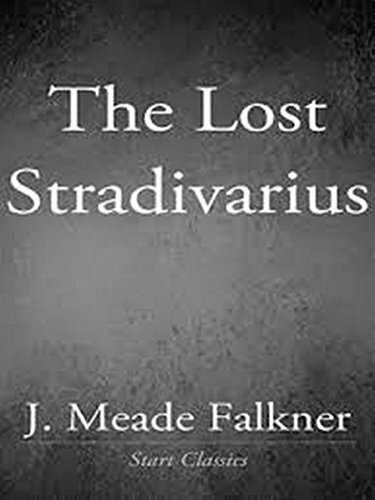 The Lost Stradivarius (1895), by J. Meade Falkner, is a short novel of ghosts and the evil that can be invested in an object, in this case an extremely fine Stradivarius violin. After finding the violin of the title in a hidden compartment in his college rooms, the protagonist, a wealthy young heir, becomes increasingly secretive as well as obsessed by a particular piece of music, which seems to have the power to call up the ghost of its previous owner. 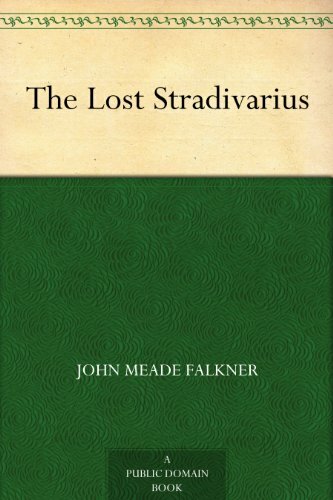 Roaming from England to Italy, the story involves family love, lordly depravity, and the tragedy of obsession, all conveyed in a "high" serious tone not uncommon in late Victorian literature. Preceding M.­R. James's ghost stories by several years, it has been called the novel James might have written, had he written novels. Orphaned John Trenchard grows up in the village of Moonfleet with his aunt, entranced by the local legend of the ghostly Blackbeard, who rises each winter night to search for his lost diamond. While conducting his own hunt for the treasure, John is trapped in the church crypt and discovers the true secret of the village: smuggling. Taken under the wing of the gruff innkeeper and chief smuggler, Elzevir Block, John begins a dangerous adventure which will see him in a hair-­raising chase along a precarious cliff path and deciphering a hidden code in an ancient castle. Moonfleet is thrilling story of revenge and betrayal, of loyalty and great sacrifice, but it is above all a story about friendship..
First published in 1898, and now a major TV series, Moonfleet is a riveting adventure story full of drama, mystery, revenge, pursuit, smuggling, pirates, and romance, sharing its literary canon with Treasure Island and Kidnapped. The tiny village of Moonfleet is nestled along the English coast, and every one of its inhabitants lives off the sea in one way or another. When local young man John Trenchard accidentally stumbles upon treasure stashed in the local crypt, he unknowingly enters the murky world of the smuggling trade and the local secret of Colonel John Mohune’s treasure. Trenchard is soon forced to flee England with a price on his head, leaving behind his beloved Grace and the life he hoped for. But the adventures, trials, and tribulations that befall him on his personal journey back to Moonfleet and ultimately redemption are written with such intensity and hope, as well as love for the history and landscape of Dorset, that the story never loses pace or power on its epic . . .